BOGOTA - Colombian President Juan Manuel Santos on Monday offered asylum to Venezuela’s ousted chief prosecutor, who fled to the country last week. Luisa Ortega arrived in Colombia on Friday with her husband German Ferrer after Venezuelan authorities ordered his arrest for allegedly running an extortion ring out of the prosecutor’s office. Santos said Ortega is being protected by Colombian authorities and if she chooses to request asylum, he will grant it. 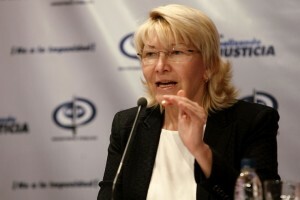 Ortega has not spoken since her arrival to Colombia’s capital. But before leaving Venezuela, she said the accusations against her husband were payback for her decision to break with President Nicolas Maduro’s increasingly authoritarian government and denounce corruption by members of his inner circle. Ortega’s removal by the pro-government constitutional assembly has been denounced by dozens of foreign governments.